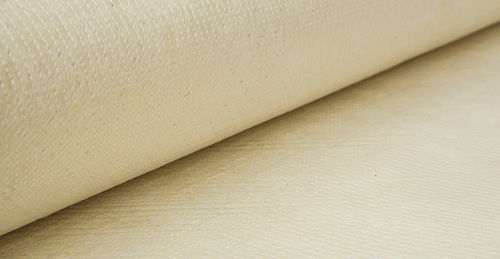 Aramid Multiaxial (non-crimp) fabrics are used predominantly in manufacturing components for the aerospace, automotive, marine and industrial markets. Hexcel produces a comprehensive range of aramid multiaxial fabrics, including Unidirectionals, +/-45 Biaxials, 0/90 Biaxials, Triaxials, and Quadaxials. In addition, Hexcel supplies different ply weights and orientations, as well as using chopped fiber mats and other substrates to create materials optimized for our customers' applications. Fabric weights from as low as 160gsm and up to 600gsm can be produced, with a variety of different fabric widths from 250mm through to 2540mm.